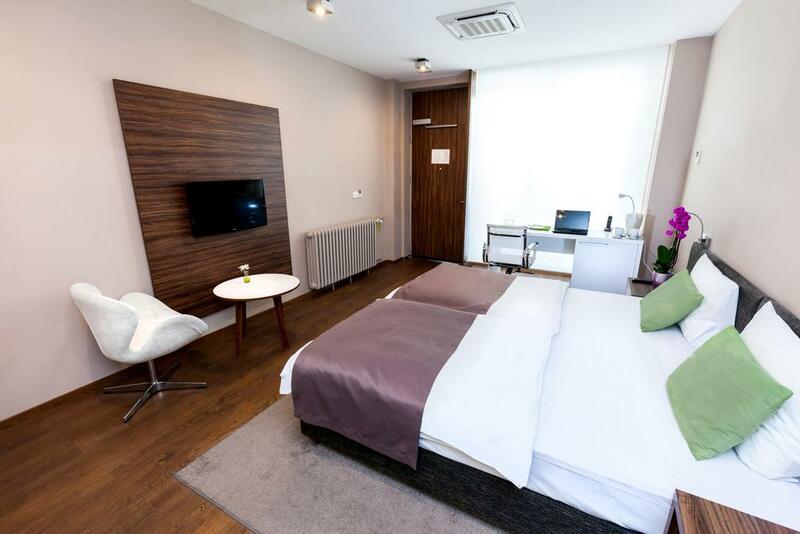 Our Simply The Rest™ concept is created with idea to provide comfortable, modernly designed accommodation for business people and other travellers at very competitive rates. 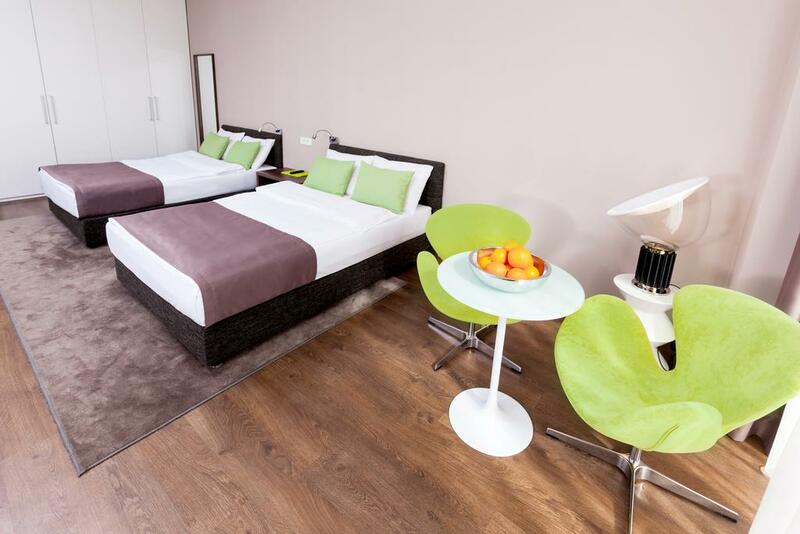 This new city accommodation is located in the business and entertainment district of Belgrade, close to the city centre and with a great connections to the airport. While Adresa creates a space for thoughtful travellers to become part of and call their own, the inside of our hotel is only part of our story. The energy and activity of our surrounding community is an equally important part. Step out from our front door and all that you need to work or play in Belgrade is there for the taking. We love our neighbourhood and celebrate it and invite you to share in our knowledge. Our 26 simply and thoughtfully crafted bedrooms offer comfort and modern design in 33m2. With rooms ranging from those with king size beds to 2 double beds in one room. Importantly, they all come complete with free WiFi, 32″ LED TV, safety box, mini-bar, coffee and tea making facilities, seating area, writing desk and bathroom with spacious shower and hairdryer and buffet breakfast. Spacious, 33m2 room featuring modern design decorations. Equipped with Air-conditioning, Free Wi-Fi, LED satellite TV with international TV channels, safety box, mini-bar, coffee and tea making facilities, seating area, writing desk and bathroom with spacious shower and hairdryer. Spacious, 33m2 studio with fully equipped kitchenette featuring modern design decorations. All rooms equipped with Air-conditioning, Free Wi-Fi, LED satellite TV with international TV channels, safety box, mini-bar, coffee and tea making facilities, seating area, writing desk and bathroom with spacious shower and hairdryer. Our aim is to provide an exceptional service to our guests and to go and extra mile in order to satisfy their needs. Good value for money for your stay is our imperative! There's so much stuff going on around us. Our aim is to provide an exceptional service to our Guests and to go and extra mile in order to satisfy their needs. Good value for money for your stay is our imperative!! For our Guest we can offer transfer from/to Airport. Price is 20 EUR per vehicle per one way. We need flight details (flight number and arrival time) to reserve. • If cancelled or modified up to 1 day before the date of arrival, no fee will be charged. • If cancelled or modified later, 100 percent of the first night stay will be charged. • In case of no-show, 100 percent of the first night stay will be charged. • We recommend you to purchase travel cancellation insurance. In case of illness or accident, your travel insurance accepts the resulting cancellation costs. Parking is located next to the Adresa and price is 5 EUR per day. For detailed information, please contact the reception desk. We do not have our own Fitness & Wellness facilities, however we can recommend Life Active Fitness Centre and Elegance spa in our vicinity. Please enquire at Reception. We do have a choice of smoking and non-smoking rooms available, while smoking is prohibited in public areas and breakfast room. According to your preferences, you may settle your bill by cash or with the following credit cards: Visa, MasterCard, American Express and Maestro.